"The Return of the Archons" is episode #21 and was first aired February 9, 1967. It was repeated by NBC on July 27, 1967. 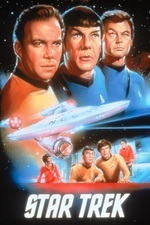 The screenplay was written by Boris Sobelman, based on a story by Gene Roddenberry, and directed by Joseph Pevney. This episode contains Star Trek '​s first reference to the Prime Directive. Ben Stiller got the name of his production company (Red Hour Films) from this episode. He's apparently a massive Star Trek fan, and of this episode in particular.